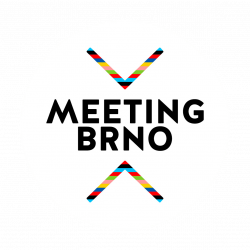 A Hungarian writer and translator will spend several weeks in Brno as the festival’s artist-in-residence. Come to meet the author and his work, listen to his impressions of the Brno stay, but also to the experience of the writer’s life in Hungary. Viktor Horváth was born in Pécs in 1962 and now teaches at the university there. In addition to a number of poems, short stories and essays, he wrote several novels, two of which were published in Czech: Török tükör (Turkish Mirror) and Tankom (My Tank), where the author describes the events of 1968 up to the August invasion of Warsaw Pact troops to Czechoslovakia through the tragicomic adventures of a sort of Forrest Gump of the Eastern Bloc. “I intended to write a book on occupation, but the first motive was personal. Nostalgia of my childhood played a big role, I wanted to mark my roots and at the same time connect everything with my current personality. It was important for me to reconstruct my childhood, including the psychological side and experiencing the contemporary context. And during that time, I was faced with similarities between the current Hungarian situation and that period,” the author commented on the novel. The novel My Tank was nominated for the Magnesia Litera 2019 in translation literature. 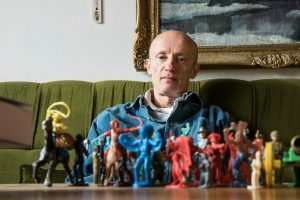 A Polish actor, playwright and theatrologist will spend several weeks in Brno as the festival’s artist-in-residence, when he will participate in the creation of a new performance by the Feste Theatre. 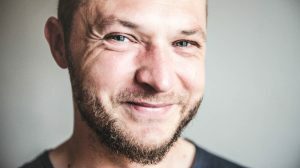 Marcin Zarzeczny works at Teatr Polski in Szczecin and collaborates with comedy theatres in Warsaw and Krakow, where he leads theatre workshops. His most famous work, a solo play titled “Jobless Actor Confessions", has been played more than a hundred times in Poland, Germany, India, Iran and Iceland.